JELD-WEN are a leading international producer of made to measure timber windows, external and internal doors, patio doors, garage doors and stairs for the new build, self build and replacement market. We offer the largest range in the UK and our products enhance thousands of homes across the country. Our commitment to quality is obvious in every item we manufacture – in their superb appearance and long-lasting performance. Our products are available to buy through our nationwide network of leading retailers and builders’ merchants throughout the UK. If you are interested in our products, please contact us on 0845 122 2892 or e-mail marketinguk@jeldwen.com for a brochure or more information. Generations of tradition and craftsmanship breath life into Longden interior custom door sets. The Longden range of hardwood interior custom doors and door sets combines the highest quality of traditional craftsmanship with performance levels needed to meet today’s technical criteria. 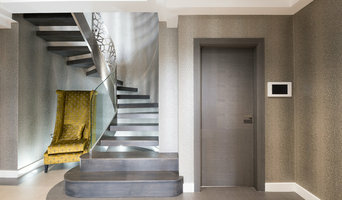 Many projects demand something more than a standard door set offering whether it be a hotel, school, court, listed building or residential project we have a stunning range of door sets to suit all. Deuren provide a range bespoke internal doors and made to measure front doors in contemporary and traditional designs to suit all tastes. Our fully bespoke doors give you unrivaled choice in order to make a bold statement about your home. 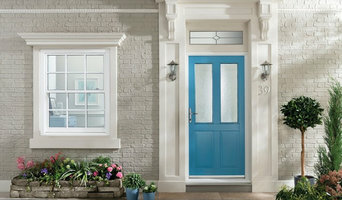 Deuren doors mix convenience and style into one package, whether it’s a modern or traditional look you’re after. They offer the flexibility needed to match your home’s current style, as well as easy fitting thanks to our internal door sets... Deuren made to measure doors incorporate all of the Italian flair that you’d expect from one of our designs, but offer a fantastic range of unique features to ensure that not only is your home safe and secure, but it also looks the part. Start by selecting a wood, and then choose your finish from 20 different options, before your door is then precision engineered to exact measurements. We provide high quality often bespoke timber doors and frames. We're very passionate about bringing new concepts to the market and cutting out the fuss, so you get beautifully made doors that look great and add value to your property. Providing Our Customers with the Best Value & Quality External Doors. Internal & External Handles Internal doors Grab a coffee, put your feet up and let us inspire you with our extensive range of door, glass and hardware options. There really is something for everyone. Full Installation service on External doors or Supply only options available. Fast turnaround with exceptional value for money. Supply only on Internal doors. Handles, locks and postboxes supplied directly to customers within 48 hours National Service with Traditional Family Values. 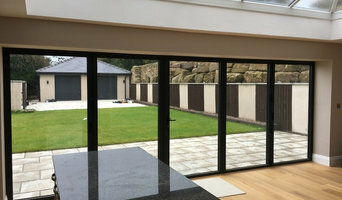 Pocketdoorshop.co.uk offer a market leading range of sliding pocket door systems, noted for toughness, longevity and ease of installation, they work virtually everywhere. Creating more useable space, opening up areas and making rooms bigger, better places to live. We can offer a full range of pocket door kits, suitable for timber, glass, bespoke and fire door applications. Speak to our knowledgeable team for further information. Premdor is one of the UK’s leading manufacturers of timber interior and exterior doors, French and folding doors, doorsets and cubicles and washrooms. 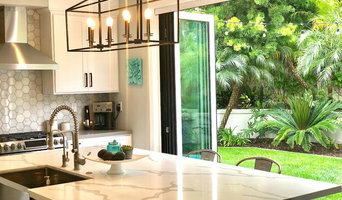 A division of Tampa-based Masonite, Premdor has an unrivalled reputation for bringing new joinery solutions to market to meet customer needs and requirements. Premdor has nearly 90 years’ experience in door and joinery manufacturing and are, still to this day, unparalleled industry leaders in interior door development and manufacture. As a result, Premdor timber interior and external doors, French and folding doors and doorsets, as well as the Hills range of cubicles and washrooms, have perhaps become the best known joinery brands amongst construction professionals and consumers. Through continuous innovation and a passion for both current door trends and timeless door models, Premdor offers a range of patented design doors to ensure the end-user is provided with a unique timber door like no other – all at a competitive price. Premdor uses a network of distributors throughout the UK. Please visit www.premdor.co.uk to find your nearest. Suppliers of italian and spanish door handles. We supply high end door hardware from Europe Swarovski crystal to hand made glass handles. Try the best aluminum bi-fold doors on the UK market at unbeatable prices. XL Joinery offers high quality Interior and Exterior Doors and associated joinery. Our stunning collection of doors can be found within a number of stockists from across UK’s Builders Merchants, Timber Merchants, Door Retailers and DIY retailers. We are highly committed to offering beautiful door designs that will look stunning in your home, we do this by reviewing international trends and adding door designs that will complement them perfecting. Providing first class service is very important to us and our after sales support team are always on standby to help and assist with any queries you have about caring for your doors. If you are interesting in our designs, please contact us on 01924350500 or mail@xljoinery.co.uk to receive a brochure today. Here at Savoy we love to share great ideas and popular products – so here is what is popular right now – remember we are all about making DIY easy- so any questions just ask – we are here to help. Bespoke Internal & External doors, manufactured in the UK. Find a New Mills, Derbyshire, UK door professional on Houzz. Scroll through this page to find door professionals in your area. Look at project photos and read reviews to find out how homeowners rate their service, expertise and product.